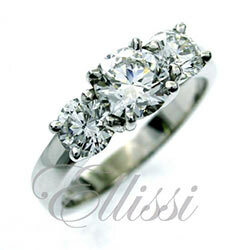 Home / Engagement rings: Custom Design / Three Stone Rings / “Aello” classic style three-stone ring. 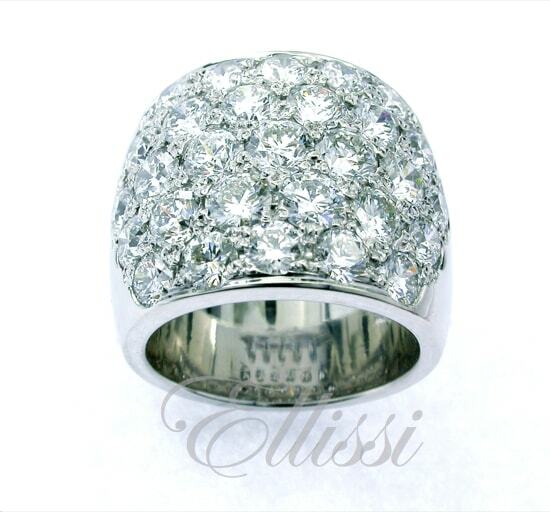 “Aello” classic style three-stone ring. 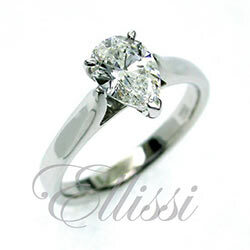 18 ct white gold custom made diamond ring for an ellissi client. 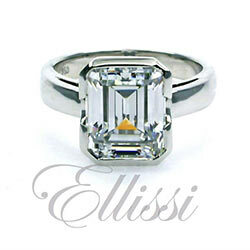 Set at its centre is a 1.00 ct “Cushion Brilliant” a rare type of cushion cut that is the most precise cut of the cushion type. 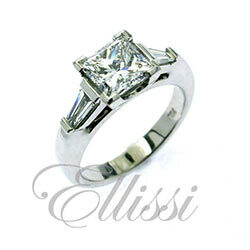 This diamond is flanked on each side with a matching set of tapering baguette diamonds. 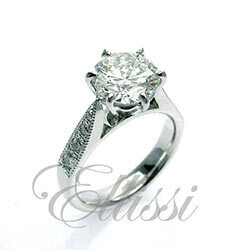 Having a Cushion Brilliant diamond of this size is a excellent way to have a larger diamond with a saving in the cost of the standard round brilliant cut, which grade for grade are more costly. The cushion brilliant diamonds are not so common and in some sizes we have a waiting list, however with a better cut and bigger top diameter than the more usual Cushion Modified type, they represent great value. Although this cut is not so easy to find, it is well worth the trouble.